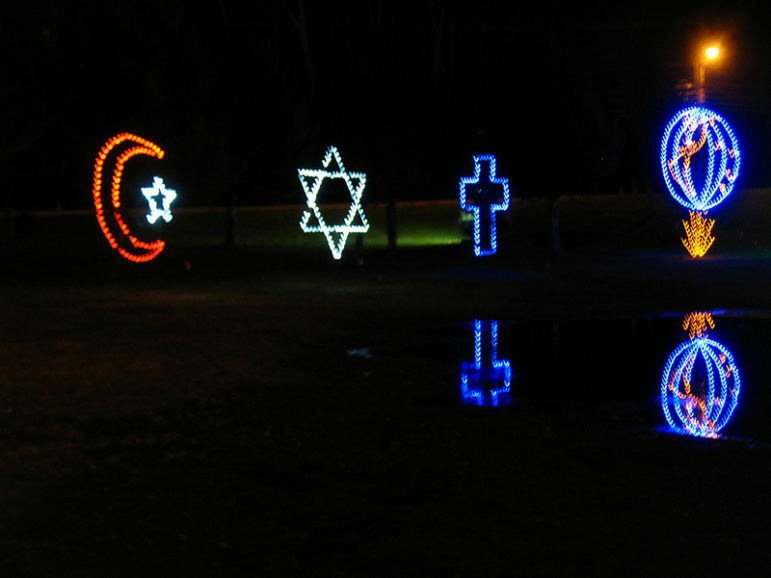 Islam, Judaism, Christianity / Sara D.
We usually place a monetary value on various sectors of the nonprofit world by the amount they raise each year. Taken as a whole, charitable giving accounts for of GDP. Of that amount ($373.35 billion given in 2015), 71 percent ($268.28 billion) is given by individuals, and 32 percent of all giving is given to religious organizations, followed by education (15 percent), human services (12 percent), and so on. The largest chunk of that $378 billion tally comes from faith-based healthcare systems. Religious groups run many of the hospitals in the United States; Catholic health systems alone reportedly account for one-in-six hospital beds in the country. Then there are churches and congregations themselves. Based on prior censuses of U.S. bodies of worship, the Grims looked at 344,894 congregations, from 236 different religious denominations (217 of them Christian, and others ranging from Shinto to Tao to Zoroastrian). Collectively, those congregations count about half the American population as members. The average annual income for a congregation, the study said, is $242,910. Most of that income comes from members’ donations and dues, meaning Americans give $74.5 billion to their congregations per year, the study said. This first estimate of $378 billion has the most exact data. But the authors of the study assert that that is an undervaluation of this sector’s true contribution to the economy because it does not take into account the fair market value of the goods and services religious organizations provide, which would put the value of religion over $1 trillion annually. Their higher-end estimate based on the household incomes of religiously affiliated Americans places this value at $4.8 trillion annually, or a third of GDP. The two authors are Brian J. Grim, PhD., and his daughter, Melissa Grim, at the Newseum Institute. Brian Grim is founder and president of the Religious Freedom & Business Foundation, advisor for the Centre on Religion & Geopolitics (a project of the Tony Blair Faith Foundation), an affiliated scholar at Georgetown and Boston Universities, and a member of the World Economic Forum’s global agenda council on the role of faith. According to the Pew Research Center, most religiously unaffiliated Americans think churches and other religious institutions are too concerned with money and power (70 percent) and too involved with politics (67 percent). Fewer unaffiliated Americans than religious Americans believe that churches strengthen community bonds (78 percent vs. 90 percent), help the poor and needy (77 percent vs. 90 percent), or do anything to help solve social problems (45 percent vs. 70 percent). And the number of unaffiliated individuals is growing. When it Comes to Religious Freedom, Whose Rights Matter Most? Whose religious freedom takes precedence, the provider of services or the recipient? In his recent order transforming the Executive Branch’s Office Faith-Based and Neighborhood Initiatives into a new Faith and Opportunity Initiative, President Trump came down heavily on the side of service providers’ rights over those they serve. This ended a period of effective collaboration on balancing some very difficult issues.